Winter is often seen as a dull season when there is not much to look at. Conversely though, it is also a time when you can see those plants that choose to shine at this time of year in much greater detail without the buzz of the summer garden surrounding them. Winter plants are not as showy as a summer herbaceous border but they make up for it with interesting foliage and often scent. 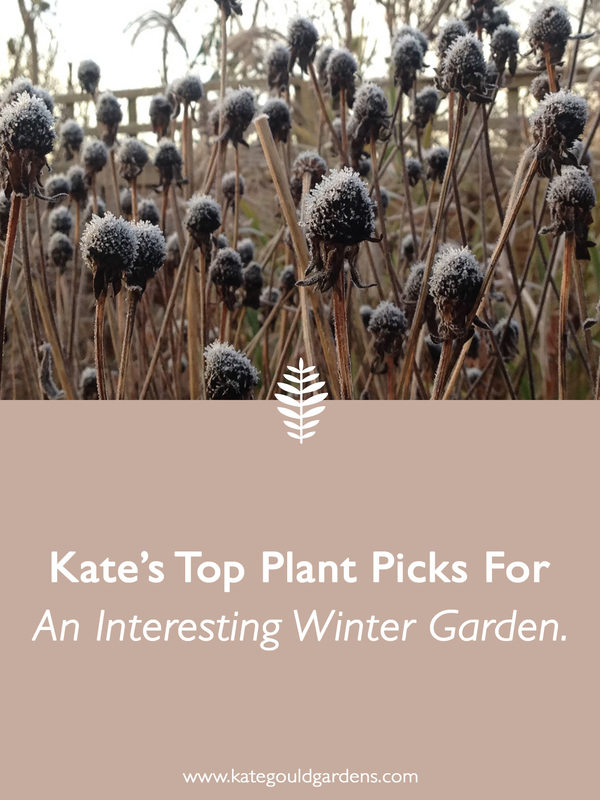 Strong architectural shapes hold frost beautifully and provide interest through this rather bleak season. Mahonia are stalwart back of the border plants where in summer they provide an architectural green backdrop. In winter their racemes of yellow flowers shine in the cool light and their lily of the valley scent can be appreciated from several meters away. Mahonia are large plants and Mahonia x media ‘Charity’ is one of the best, combining well with other plants that will add interest to your winter garden it will be in flower from November to March attracting winter insects and adding to the diversity of your garden. Edgeworthia chrysantha is a much smaller shrub than the Mahonia, growing to about 1.5m in height and spread. In London it will be fine where temperatures rarely get down to -5 but if you garden in a cold spot plant it in as sheltered position as possible. Flowering from February to April its pretty cream and yellow flowers are also highly scented. It would work well with a lower storey of Helleborus x hybridus or an under-planting of spring flowering Crocus. No winter garden should be complete without a Sarcococca. There are several different varieties to try all of which prefer some shade and a moist but well drained soil. Their glossy leaves act as a simple foil to summer colour but in the winter from December to March it is their tiny white flowers that you appreciate, perhaps not for their look as they are quite tiny but for the spicy scent that they produce. They are often very successful in pots and can be moved outside the backdoor when they are in flower to appreciate the scent at close hand. For something a little showier then Camellia sasanqua varieties are well worth growing. Although fully hardy a sheltered spot is preferred to keep the blooms looking perfect. Harsh east winds and frosts will damage the soft edge of the petals. As with all Camellia, acidic soil and a site in partial shade is required. They aren’t the fastest growers in the world but their beautiful compact blooms from October to December are always well worth the wait. Autumn flowering Cyclamen would be a lovely under-planting. Cornus sanguinea ‘Midwinter Fire’ – as its name suggests a fiery copper set of stems. Prunus serrula – one of the less blousy Cherries when in bloom this tree makes up for it with shiny dark burgundy bark. Acer griseum – one of the loveliest of trees with fantastic autumn coloured leaves but also cinnamon coloured peeling bark. Whatever your choice, with a little planning and the placement of some carefully chosen evergreen shrubs to accentuate your colour scheme, winter need never be boring in the garden.